Next to all of the details of our adoption and process, the most asked question we get is "WHY?" And understandably so. I am super excited to share what led us to the decision to adopt. For me, adoption has been a life long desire. The first time I can consciously remember talking about adoption was when I was in first grade. I can remember exactly where I was standing, playing house with a friend. We were discussing important things like what our make-believe jobs were and how many kids we had. I told my friend that I was going to have 5 kids, 4 of whom were adopted. I don't know how I knew what adoption was. I don't think I knew any kids that were adopted at that point. Something about it just appealed to me. I told my mom throughout my childhood that I didn't want to have biological children, I wanted to adopt them all. Obviously God changed my heart on having bio kids, and I'm thankful for that because my girls are pretty great ;) But, the desire to adopt has never left my heart. 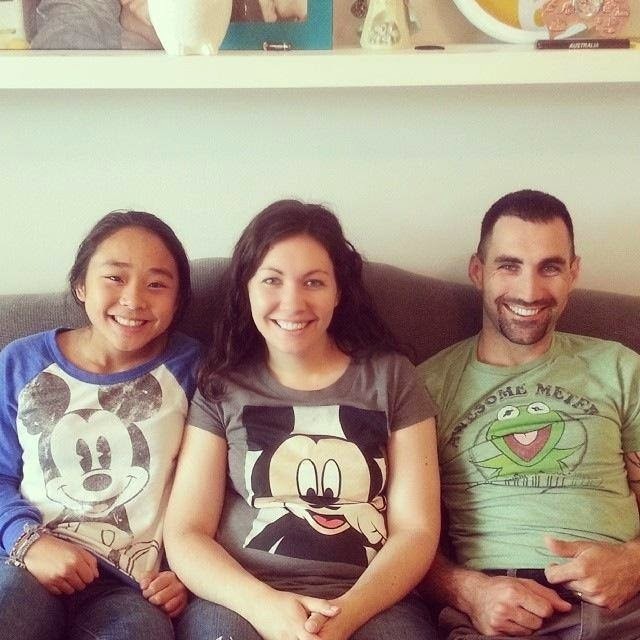 When I was 15, my dad and step mom adopted my beautiful sister from China. I had the incredible experience of traveling with my dad to China for 2 weeks to bring her home. This only intensified my desire to adopt. Going through that whole process, and also experiencing it with several other families in our travel group was, well...I can't put it into words. From the first day all of these baby girls were placed into their parents arms, it was evident that they were perfect for the family that they were placed into. From little details like how one little girl had her adoptive daddy's nose (how is that even possible?!) to personality traits that these 15 month old girls had in common with their adopted families, it was evident that there was Someone way bigger than us in control of these placements. There has never been a doubt in my mind that my sister was meant to be in our family. We were not complete before her. Moving on into adulthood, after I became a Christian, my desire once again intensified. Thinking about how God adopted me as His own child through the Cross and how adopting a child into your family is a symbol of that very thing just leaves me speechless. I know that I am called to do this. You may notice that I've only been talking about myself here. What about my husband? Has he wanted to adopt for forever, too? The answer to that is no. He did not have a deep, burning desire as a young child to one day adopt a baby (I might possibly be the only 5 year old who wanted to adopt, if we're being honest....), but as a Christian man, yes he does. 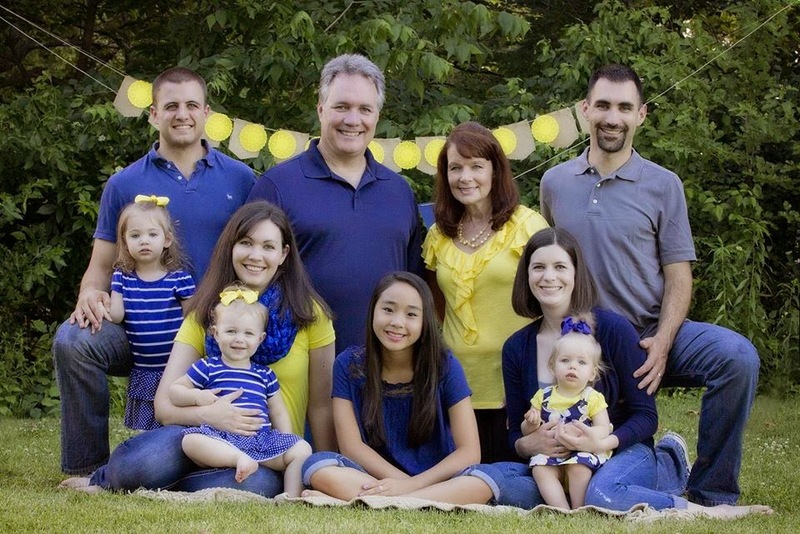 Over the last several years, we have talked and prayed on and off about adoption. If we were to adopt, would we do so in the states, or go out of the country? How would we finance it? When would the timing be right? Would it ever be right? We continued to pray about it in spurts. Every so often, something would put it on one of our hearts and we would pray about it for awhile and for whatever reason, every time, the door would close. Sometimes we would be praying about a specific country and we would go on to find out some things about their program that wouldn't fit with our family after a few weeks and that was that. This time, the door never closed. As we continued to fervently seek the Lord and come to a decision on whether or not this was something He wanted our family to do, the desire for both of us only grew stronger. We read scripture supporting adoption (Matthew 18:5, Acts 7:21, Psalm 27:10, John 14:18, James 1:27), we prayed over the decision and we sought counsel from our families, pastors, friends, and other wise believers. The bottom line is that adoption is biblical. No, we do not believe that God calls everyone to adoption, but we believe that He is calling us. As one of our pastors put it "People, including me, will be very reluctant to discourage you from doing such a wonderful thing. Please hear that. Adoption is truly a courageous and selfless thing. It is a ministry, and one you need to be specifically called to do because it requires extra grace. And perhaps your desire is evidence of that calling." Adoption is a ministry. Just as some individuals or families are called to serve overseas missions, or are called to start a specific ministry-maybe geared toward mothers, less fortunate people, or homeless, some are called to adopt. We tried to come up with reasons we should adopt and reasons we shouldn't. Let me just tell you that any reason we came up with that we "shouldn't" was quickly erased from our mental "list" because of the bigger reasons why we should. Is it going to be a lot of work? Is it going to be an emotional process? Will it be crazy expensive? Will we go through hard trials with it? Will the process be trying on us? The answer to all of those questions is a resounding YES. But. And that's a big BUT. It will be more than worth it. The day that our child is placed into our arms, nothing else will matter. Some people have been telling us that our child will be so lucky to have us, but I think it is quite the opposite. We will be so lucky to have them. So blessed to raise them and point them to Jesus. We are thankful that God has burdened our hearts for adoption. As Christians, we have asked God to break our hearts for what breaks His, and He has answered. He has broken us down and here we are....waiting to see His plan for our family. Ready to serve Him by taking in one of His children...our child. Prayerful for what is to come, and how our story can best glorify Him. So I have a question, do you have any adoption resources that you recommend for those who are thinking about it?